Bush-appointed liberal Chief Justice John Roberts appeared to chide originalist Justice Neil Gorsuch on Friday for doing his job and not falling in line with the rest of the court. Remember, Roberts is the backstabber responsible for getting Obamacare approved. Supreme Court Chief Justice John Roberts appeared to take a veiled jab at his new colleague Justice Neil Gorsuch during a conference in Pennsylvania this week, where he reiterated his longstanding aversion to solo opinions. The comments suggest a hint of tension between the chief and the junior justice. 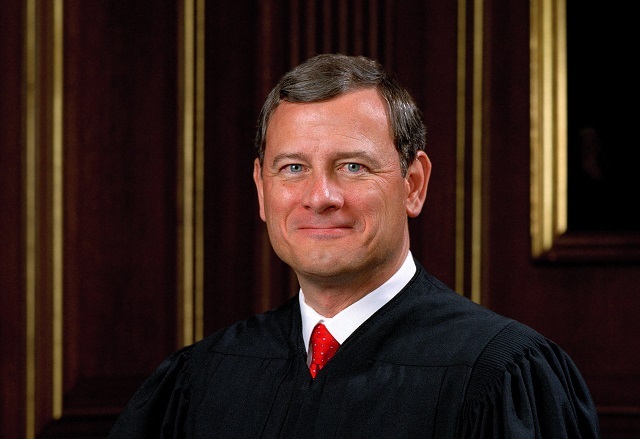 In remarks given at a judicial conference in Pennsylvania this week, Roberts reiterated his long-held view that the Court should speak with one voice wherever possible � that is to say, he supports a consensus-driven approach to opinion writing in which the justices strive for unanimity and avoid writing their own concurrences or dissents. In doing so, he appeared to rebuke Gorsuch, who has flashed a propensity for writing on his own in his first months as a justice. �There�s a different level of collegiality though and that is to appreciate you are acting as a court, not as an individual,� he said. Translation: get in line and serve the liberal elite like I did. Roberts went on to explain that, when drafting an opinion, it�s important for a justice to accommodate their colleagues by avoiding precedents, citations, or footnotes which may create conflict within the majority. He emphasized the importance of speaking as a court, instead of as individual jurists. In his first two months on the Court, Gorsuch has written his own concurring or dissenting opinions on seven occasions. By way of comparison, that�s as many times as Justice Elena Kagan wrote independently in her first two years on the Court. His aggressive approach has solicited both approving and detracting responses. Linda Greenhouse, longtime Supreme Court correspondent for The New York Times, wrote Thursday that �unexpected daylight� has opened between Gorsuch and the chief. �It now seems just as likely that Neil Gorsuch�s main effect on John Roberts will be to get on his nerves,� she said. Justice Roberts sold out America for praise from the liberal press. His distaste for Gorsuch is a great sign. If Gorsuch ignores Robert's whining and continues to fight for America he'll be the best judge on the court.